The ultimate in woodworking and baking… birch cookies 🙂 I converted the solar panel to see if this would work. 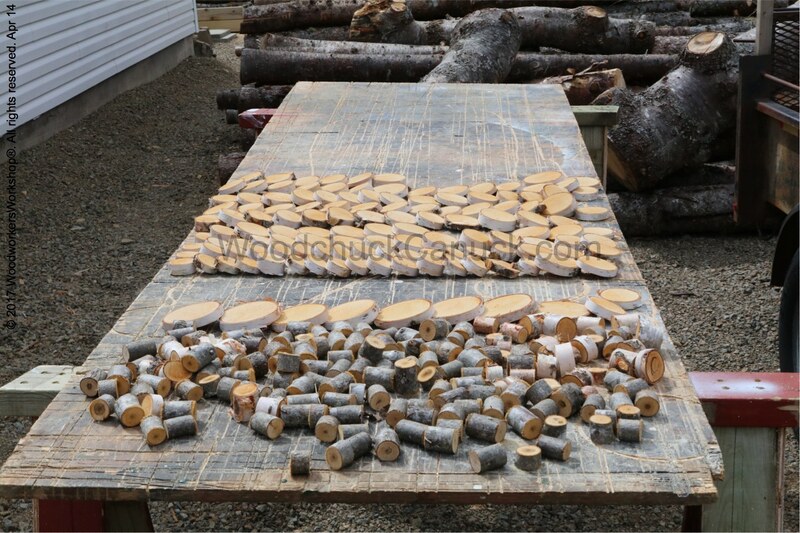 We’re cooking up some new ideas for wood crafts made right here in Nova Scotia, and we are trying to source the supplies as close as possible. We started out using the table and would turn them over 1-2 times a day. That’s when I thought about the solar panel. 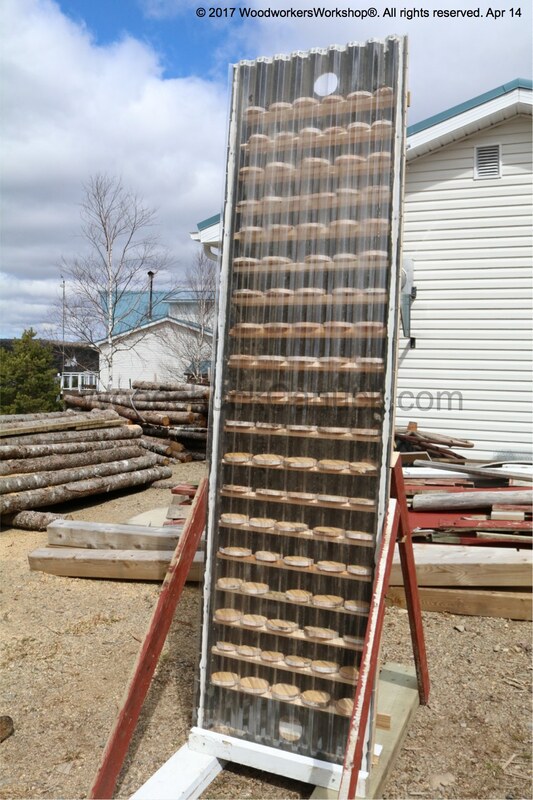 The solar panel itself was built as a proof of concept, and boy did it ever work great. So good in fact it got too hot. The way in which I had the tubes put together inside were delaminating because of the heat. It would not go to waste though, now to try the box out as a dehydrator for wood slices. A mini kiln of sorts. I first cut the back off of the box to use as a door. Then I cut a whole bunch of wood strips 0.75 x 0.75 inches to act as racks. I secured them with 1 inch nails so that I could rotate the wood strips. The purpose being that the corners of the strips could be turned up and the wood slices sit on the corners. 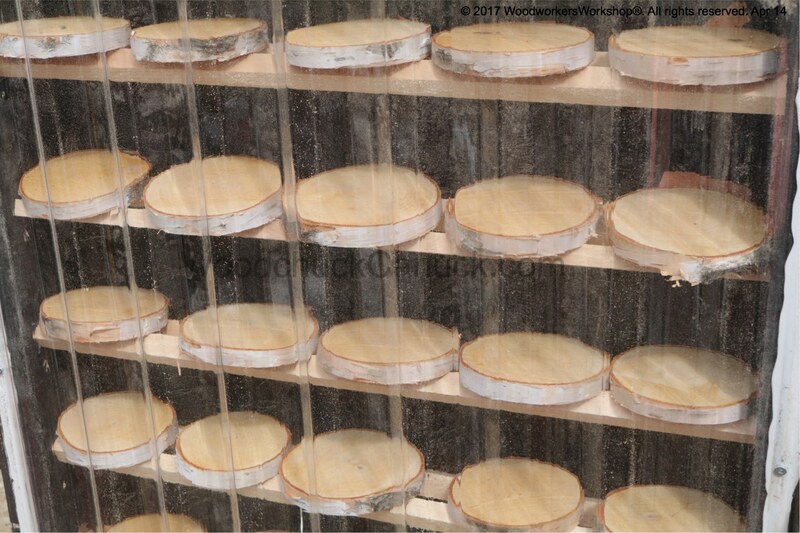 That way it would reduce the amount of surface area covered on the slices. Theory being it would assist in drying the slices faster. So that’s the mini kiln. Its braced with some 2×6 x 6ft for the base and some 1×4 x 4ft for the supports. This is a windy area. I’d have it closer to the back wall of the garage but there’s no room right now. Let’s hope it doesn’t blow over.